If you are a driver in the state of Texas, there are some new traffic laws that you should know about to not be caught off-guard. Texas has been slow to adopt state-wide texting and driving laws, but two major Texan cities have finally stepped forward to make their streets safer for everyone on the road. Thirteen states prohibit all drivers from cellphone use, while an astounding 37 states (including Texas) still allow legal adults to use their phones. But now, San Antonio and Austin–cities that have taken the reigns of progress–have passed new ordinances that prohibit the use of handheld devices while driving. According to the Texas Department of Transportation, one in five traffic accidents involve drivers who had used cell phones during the collision. Many cities quickly followed suit, including, Alamo, Austin, Canyon, El Paso, and more! Texting and driving can be as dangerous as drunk driving, as texting takes your eyes away from the road. If you are caught using your phone behind the wheel in San Antonio, a $200 fine awaits you. But get caught in Austin, and that fine jumps to $500. Be smart; don’t text and drive. People are not the best drivers. In fact, we are all terrible drivers because of our short attention spans and slow reaction times. Add in texting and driving and you are basically asking for an accident. 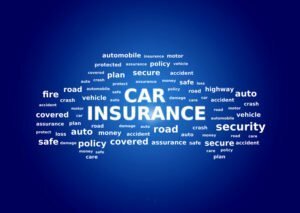 For car accidents, you’ll want to have a quality auto insurance policy in place. To get the coverage you need to be protected post-accident, contact Pierce Insurance Group in McKinney, Texas today. We can help you answer these questions!